Discussion in 'Contests' started by absurdistof, Jun 7, 2010. I think we could use a schedule to carry this out in an organized manner, so that it's not a five-six hour string of map testing, like it was today. Why not go with 22 minute tests, all of one gamemode in each session. So why not roll in the CTF to the PLs, and run four tests, each an hour and a half long. With 16 maps, there's way too many to test in a single go. I'm sure we'll have more testing days - doing it by gamemode might get tedious, but would work. You could use my suggestion, but make a mixed test for 4 days. One of each type. I don't like brackets: They make it impossible to have a 2nd or third place, correctly. If my map were placed right next to the best map in the bracket, but I was the second best map, then I would still get out in the quarter-finals, instead of rightfully in the finals. I would like to run the test, I already ended up running the tail end of the test today. If i where to do it we would split it into 3 days (someone might have to take over on the tail end of the third as i am going on a trip, it should however not interfere.) each day we would start around 4:30pm eastern time and test 5 to 6 maps a day about 2 hours worth (i would like to play this more by ear depending on how many people are there.) We would play the maps in order of submission. I have already uploaded quite a few of the missing maps, and would make sure the rest are up tonight. i'll do that regardless of if i end up hosting this or not. Edit: How are we judging this thing anyway? Just don't do every koth map one day and every arena the next, people would probably get bored of the gamemode after the first couple of maps. 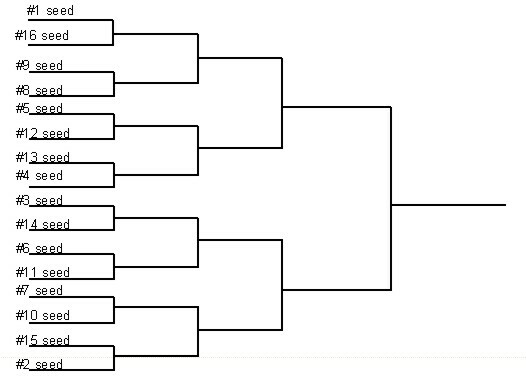 Thats not really a fair system either, what if AwesomeMap#1 and AwesomeMap#2 play in the first round and knocks one out? Then the other will will win, and an ordinary map will end up coming second. And, because unlike players these maps have no track record of skill or "goodness" the tournament system fails again. I would be in favor of having a mixed bag of maps from various gametypes for one to two hour sessions on the server, possibly longer depending on how people are feeling. I figure we'll maybe have a preliminary vote, then take the top ten or top 8 or something and hold another vote with those. We could even just use the in-forum polls. Maps are so new, there's not really any chance of a popularity vote or anything like with the ctf contest. We should definitely test them for a good bit before voting, though. There was a voting system that somebody suggested where you put maps in order of preference (or even at the same level), and there was some clever formula to work out what won. well I think, if the people vote in a thread and give a number from like 1-10 to every map, they should also write a little explanation for it and why they rate the map in that way. Thus ensuring, that they played the map, and dont just go after looks etc. I have no idea the maps were being tested. Playing like the 4 maps of each game type a day each should work pretty well I guess, but you're probably going to do this on the US servers only, eh? Seeds be bad. ^ Brackets are not really for "testing"